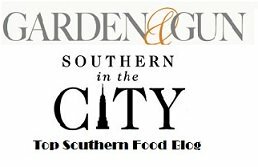 Tired of the same old thing for dinner? Here's a glazed salmon recipe that's quick and easy and will bring something a little different to the table that's really good for you! 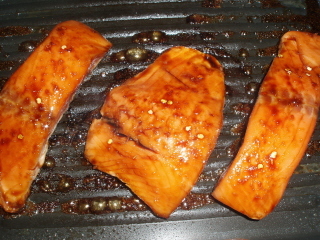 Salmon is high in protein, Omega-3 fatty acids, and vitamin D and is an excellent source of good cholesterol. I like to have it at least once a week. 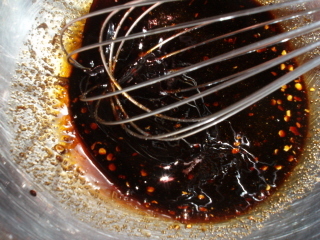 Combine the soy sauce, brown sugar, red pepper flakes, ginger and vegetable oil in a medium size bowl with a wire whisk until thoroughly mixed. 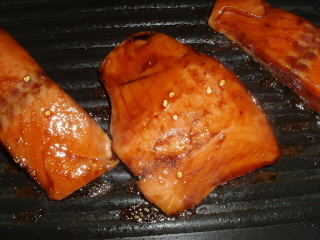 Place the salmon fillets in a glass baking dish and pour the soy sauce mixture over the fillets. Turn to coat the fillets. Cover and refrigerate for 30 minutes. Prepare your grill or grill pan by spraying with a non-stick cooking spray. 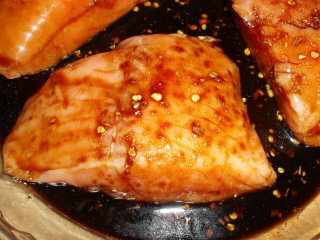 If you want you can broil these in the oven in a broiler pan. 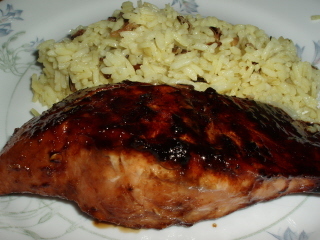 Cook for 2 to 3 minutes over MEDIUM heat (don't crank the heat way up because the brown sugar in the marinade will burn)basting with some of the leftover marinade." Turn a quarter turn and cook for another 2 to 3 minutes and baste again. 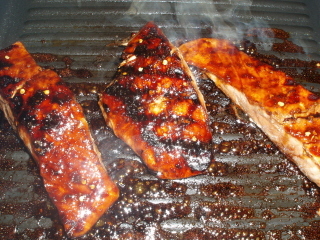 Turn the fillets and cook for another 2 to 3 minutes, turn a quarter turn and cook an additional 2 to 3 minutes. 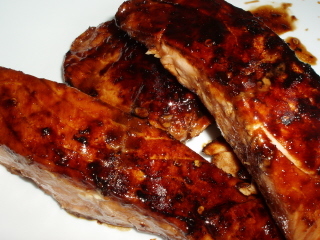 I'm sure you'll enjoy this easy salmon recipe. 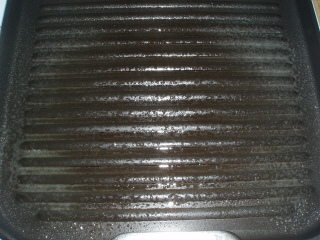 If you don't have a grill pan, this is the grill pan that I use and have used for years and I love it! It may be a little pricey, but it cleans up so easily and it will last a lifetime! 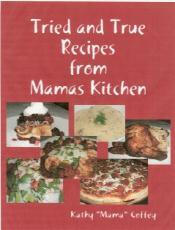 If you like my website, you're gonna love my new ecookbook Tried and True Recipes from Mama's Kitchen. 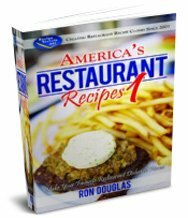 Now you can make your favorite restaurant recipes at home!